Apparel, footwear, home furnishings, textiles, consumer products, retail, and manufacturing companies need to be equipped to handle the complexities of a global supply chain. 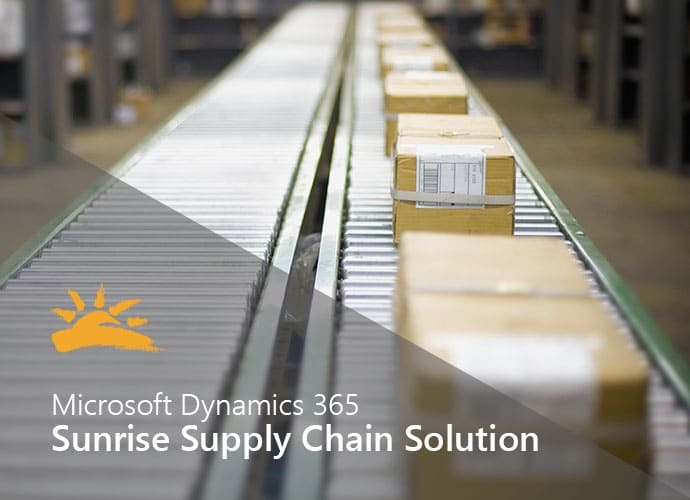 Sunrise has over two decades of experience solving these challenges and have extended Microsoft Dynamics 365 with exclusive inventory optimization, forecast netting, and soft allocation capabilities. This solution is a favorite industry add-on for proactively managing and monitoring a healthy supply chain with gorgeous visual insights.